At left is a mockup. You’ll see that the thumbnails repeat themselves periodically. In any final version, all memory-elements would be unique. 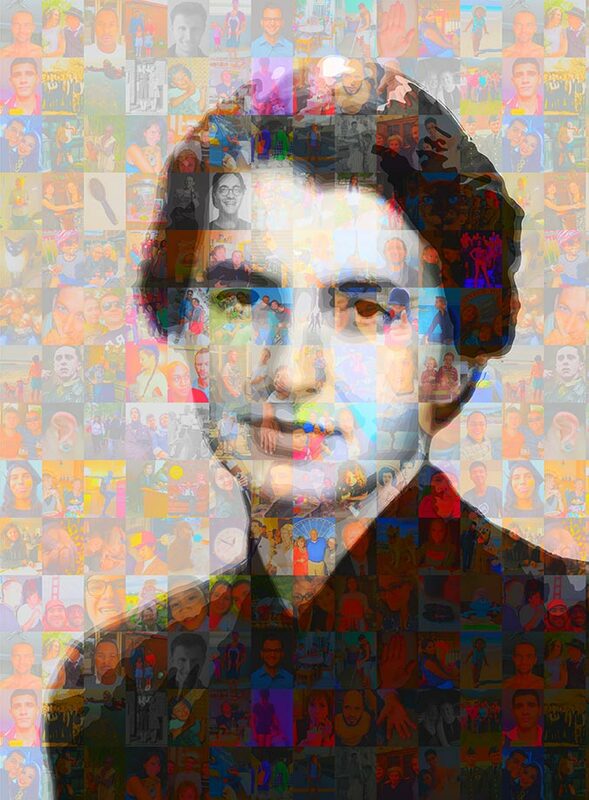 I envision this as a ~23×35″ work using individual Memories-In-DNA photos to create a photo-mosaic of Rosalind Franklin. A big question as to how to proceed hinges on how the individual Memories-In-DNA files were stored — whether photo by photo in individual DNA “packets” or batched in some way: by date or other grouping. The reason this is important is that creating DNA-specific ink for upwards of 1000 thumbnail photos could be prohibitively time-consuming and expensive. And plausibly impossible. An alternate approach is to encode the photo of Franklin and her biography into DNA and use that as the base ink for the mosaic. I think that preserves and conveys the coolness of the concept while lessening the manufacturing complexity. Another thought regards the content of the Memories photos. 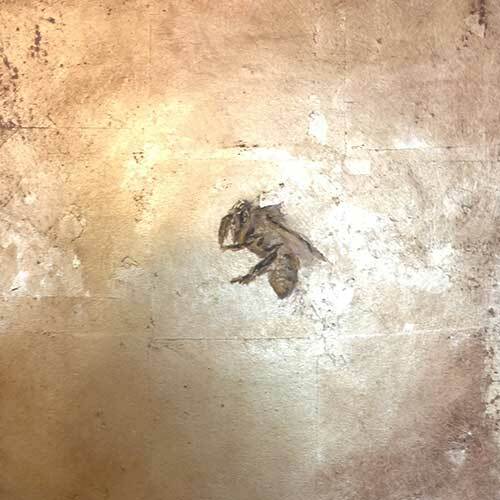 For this mockup, I have selected only humans, animals, and human parts to include in the mosaic. A surprising number of the photos depict plumbing, soap and toothbrushes, and sunsets. The sociologic questions this suggests are pretty interesting but when reduced to thumbnail size, they really don’t read very well. Humans — and I am assuming this will be our primary audience — are hardwired to recognize other human faces, but toothbrushes not so much. Perhaps there is something I am not grasping in this. Highly likely, actually. Let the discussion begin.